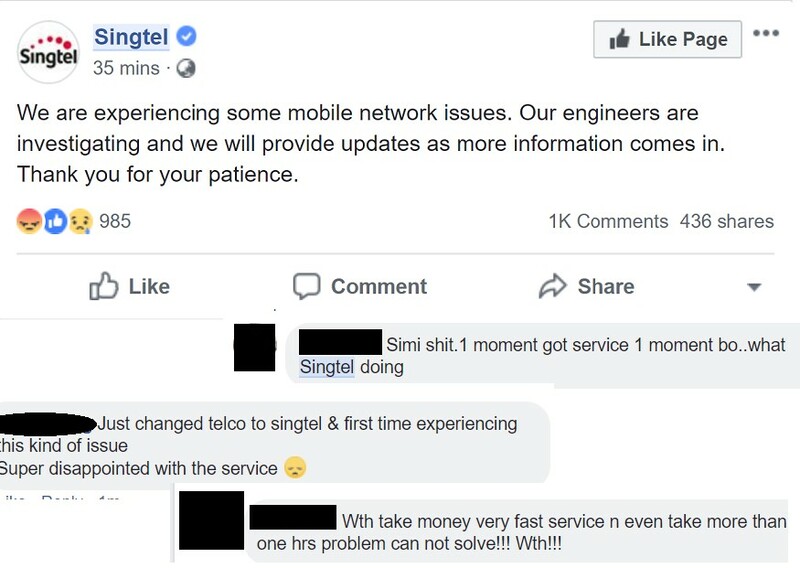 Many SingTel users flooded Singtel’s Facebook page shortly after getting affected by Singtel’s network disruption. Users are unable to make the calls or connect to the internet. Areas all over Singapore seems to be affected, Over 1000 comments flooded SingTel page and was really unhappy at Singtel. It has been reported that areas such as Bishan,Ang Mo Kio, Woodlands, Seng Kang… Etc are affected. Previous ArticleLOOKING FOR A JOB? CHASE BIRDS AND GET PAID $1900!